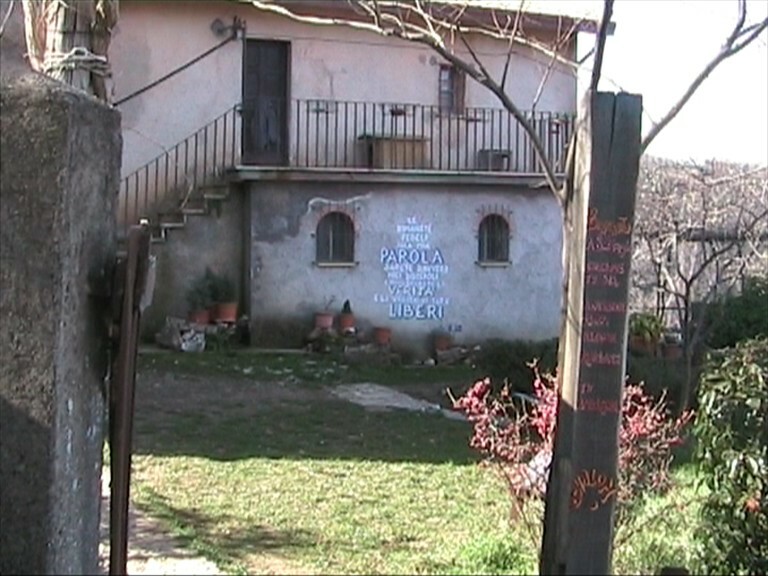 A HOUSE OF PRAYER nestled high on the Apennines that provides an environment of silence and peace for those who seek an alternative to the consumerist society of our times. We are a community of Salesian Sisters who seek to serve God by sharing His Word with all who come. Our first priority is to live the contemplative aspect of our vocation fully in order to nourish our apostolic activity. San Biagio (St. Blaise in English) nurtures an atmosphere of prayerful silence. We live a life of simplicity and littleness, being content with what is essential. The community relies on Divine Providence, omitting all that is superfluous and setting no structured fee for those who come, relying solely on the offerings that may be left. We seek to communicate LIFE, Jesus Himself through sharing the Word of God in community and with all who come. We also reach thousands of others via internet with a comment on the liturgical readings of the day translated into various languages. As Salesian Sisters, the Family Spirit reigns supreme and all our guests enter into our community life for prayer, meals, and work, personal time, setting a tranquil rhythm to each day that is conducive to listening to God’s voice in the depths of our hearts. BELL TOWER of our little Church that dates back to 1100 AD. The doves are part of our family too. This is the tabernacle inside the church. The Icon of Jesus was made by one of our sisters some years ago. Everything in the chapel is made from the resources of the mountain: wood, stones, mountain flowers, moss. The Church is very rustic and prayerful and though small, we manage to fit many guests inside. This is another small chapel that we have named ‘The Listening Madonna’ because of the icon that it enshrines. It is a very prayerful nook for spending time with Jesus in the Blessed Sacrament. It is often visited by passersby, our guests, and anyone who wishes to spend some quiet, quality time with Jesus. This is a view from inside the Chapel. It is a very serene place, constructed entirely of materials from the mountain, including the altar and the tabernacle. This is Sr. Maria Pia Giudici, FMA on her 60th anniversary of religious profession. She is the foundress of this House of Prayer and continues to animate it spiritually to this day with her Lectio Divina, her books and articles, her spiritual direction, her very life. Many young men and women have found their vocation here, whether to married life and family, to the sisterhood or brotherhood, to priesthood, to consecrated lay person. She lives the Word and encourages all who live or come here to make the Word of God the center of their life. This is the third Chapel on our holy mountain and another that is quite frequented. It is extremely tiny and intimate, a real prayer nook to be alone with Our Lord. In this Chapel there is a very special crucifix of Jesus without arms. Our commitment is to be the arms of Jesus in humble service of our sisters and brothers. This is a close up of Jesus face, both sad and beautiful at the same time. It speaks of immense love, patience, endurance and invites us to give a response of love.